Hey gang... New MonoGame dev here. I've managed to migrate my game over to MonoGame in no time. 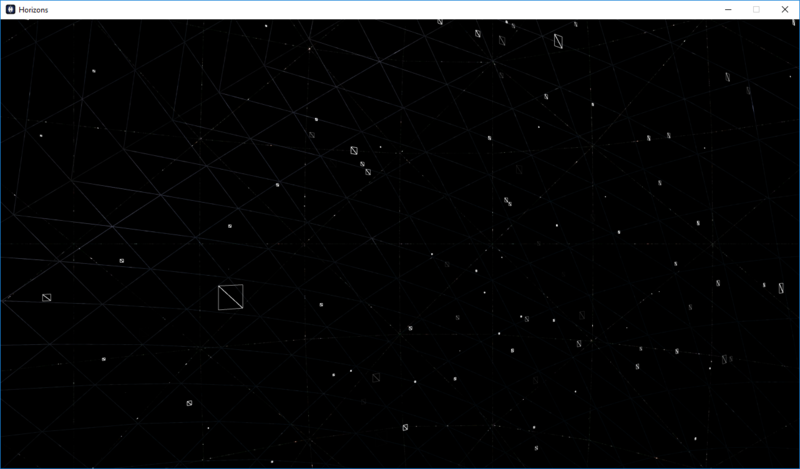 The only holdover is cleaning up the Particle System. I've read over several solutions with porting from XNA to MonoGame and implemented those solutions but I'm still running into issues. I'm changed my shorts to Vector2s and reordered my vertex declaration and everything compiles. I'm sure it's something stupid I'm missing... Thoughts? // Stores the starting position of the particle. // Stores which corner of the particle quad this vertex represents. // Stores the starting velocity of the particle. // Four random values, used to make each particle look slightly different. // The time (in seconds) at which this particle was created. // The current time, in seconds. // Parameters describing how the particles animate. // These float2 parameters describe the min and max of a range. // interpolating between x and y by some random amount. // Particle texture and sampler. // along with some random values that affect its size and rotation. // Vertex shader output structure specifies the position and color of the particle. // Vertex shader helper for computing the position of a particle. // by applying a constant scaling factor to its starting velocity. // S and ending velocity E, at time T their velocity should be S + (E-S)*T.
// The particle position is the sum of this velocity over the range 0 to T.
// equation. Integrating S + (E-S)*T for T produces S*T + (E-S)*T*T/2. // Apply the gravitational force. // Apply the camera view and projection transforms. // Vertex shader helper for computing the size of a particle. // Apply a random factor to make each particle a slightly different size. // Compute the actual size based on the age of the particle. // Project the size into screen coordinates. // Vertex shader helper for computing the color of a particle. // Apply a random factor to make each particle a slightly different color. // will reach all the way up to fully solid. // Vertex shader helper for computing the rotation of a particle. // Apply a random factor to make each particle rotate at a different speed. // Compute a 2x2 rotation matrix. // Custom vertex shader animates particles entirely on the GPU. // Compute the age of the particle. // Apply a random factor to make different particles age at different rates. // Normalize the age into the range zero to one. // Compute the particle position, size, color, and rotation. // Pixel shader for drawing particles. // Effect technique for drawing particles. You mean just swapping the semantics? What platform do you target? I can see malformed particles in the right locations in 3D space that never turn and face the camera. Mind you, I know that isn't correct. Just odd that I can get it to show particles by doing that. So I can say this is resolved. Issue was in the position calculation in the shader. It did not like the original XNA math. I had to adjust it but all is now well.